07 - Instinct 07-07 - Slave-making ants 70 Slave-making instinct. This remarkable instinct was first discovered in the Formica (Polyerges) rufescens by Pierre Huber, a better observer even than his celebrated father. This ant is absolutely dependent on its slaves; without their aid, the species would certainly become extinct in a single year. The males and fertile females do no work. The workers or sterile females, though most energetic and courageous in capturing slaves, do no other work. They are incapable of making their own nests, or of feeding their own larvae. When the old nest is found inconvenient, and they have to migrate, it is the slaves which determine the migration, and actually carry their masters in their jaws. So utterly helpless are the masters, that when Huber shut up thirty of them without a slave, but with plenty of the food which they like best, and with their larvae and pupae to stimulate them to work, they did nothing; they could not even feed themselves, and many perished of hunger. Huber then introduced a single slave (F. fusca), and she instantly set to work, fed and saved the survivors; made some cells and tended the larvae, and put all to rights. What can be more extraordinary than these well-ascertained facts? If we had not known of any other slave-making ant, it would have been hopeless to have speculated how so wonderful an instinct could have been perfected. 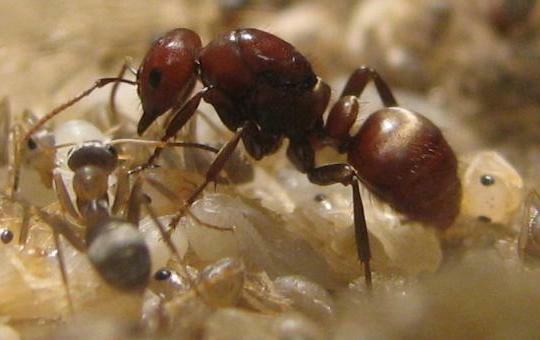 Formica sanguinea was likewise first discovered by P. Huber to be a slave-making ant. This species is found in the southern parts of England, and its habits have been attended to by Mr. F. Smith, of the British Museum, to whom I am much indebted for information on this and other subjects. Although fully trusting to the statements of Huber and Mr. Smith, I tried to approach the subject in a sceptical frame of mind, as any one may well be excused for doubting the truth of so extraordinary and odious an instinct as that of making slaves. Hence I will give the observations which I have made myself made, in some little detail. I opened fourteen nests of F. sanguinea, and found a few slaves in all. Males and fertile females of the slave-species are found only in their own proper communities, and have never been observed in the nests of F. sanguinea. The slaves are black and not above half the size of their red masters, so that the contrast in their appearance is very great. When the nest is slightly disturbed, the slaves occasionally come out, and like their masters are much agitated and defend their nest: when the nest is much disturbed and the larvae and pupae are exposed, the slaves work energetically with their masters in carrying them away to a place of safety. Hence, it is clear, that the slaves feel quite at home. During the months of June and July, on three successive years, I have watched for many hours several nests in Surrey and Sussex, and never saw a slave either leave or enter a nest. As, during these months, the slaves are very few in number, I thought that they might behave differently when more numerous; but Mr. Smith informs me that he has watched the nests at various hours during May, June and August, both in Surrey and Hampshire, and has never seen the slaves, though present in large numbers in August, either leave or enter the nest. Hence he considers them as strictly household slaves. The masters, on the other hand, may be constantly seen bringing in materials for the nest, and food of all kinds. 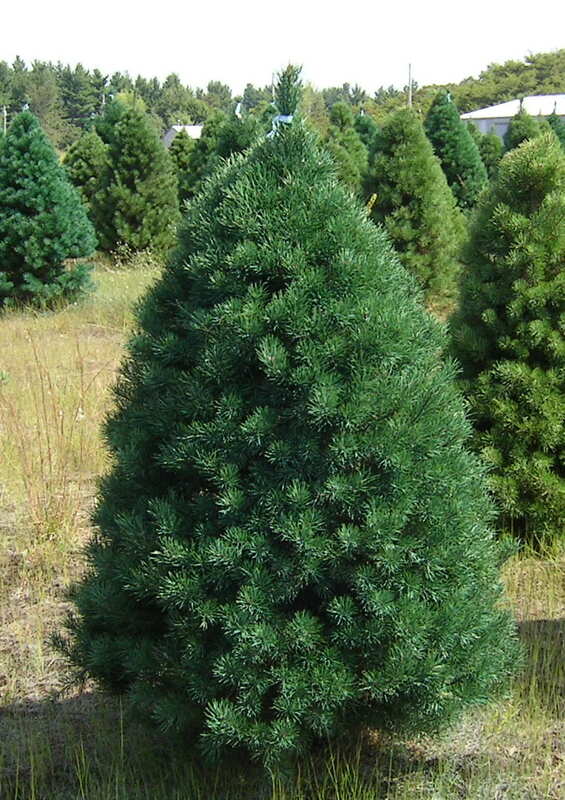 During the present year, however, in the month of July, I came across a community with an unusually large stock of slaves, and I observed a few slaves mingled with their masters leaving the nest, and marching along the same road to a tall Scotch-fir-tree, twenty-five yards distant, which they ascended together, probably in search of aphides or cocci. According to Huber, who had ample opportunities for observation, in Switzerland the slaves habitually work with their masters in making the nest, and they alone open and close the doors in the morning and evening; and, as Huber expressly states, their principal office is to search for aphides. This difference in the usual habits of the masters and slaves in the two countries, probably depends merely on the slaves being captured in greater numbers in Switzerland than in England. One day I fortunately chanced to witness a migration from one nest to another, and it was a most interesting spectacle to behold the masters carefully carrying, as Huber has described, their slaves in their jaws. Another day my attention was struck by about a score of the slave-makers haunting the same spot, and evidently not in search of food; they approached and were vigorously repulsed by an independent community of the slave species (F. fusca); sometimes as many as three of these ants clinging to the legs of the slave-making F. sanguinea. The latter ruthlessly killed their small opponents, and carried their dead bodies as food to their nest, twenty-nine yards distant; but they were prevented from getting any pupae to rear as slaves. I then dug up a small parcel of the pupae of F. fusca from another nest, and put them down on a bare spot near the place of combat; they were eagerly seized, and carried off by the tyrants, who perhaps fancied that, after all, they had been victorious in their late combat. At the same time I laid on the same place a small parcel of the pupae of another species, F. flava, with a few of these little yellow ants still clinging to the fragments of the nest. 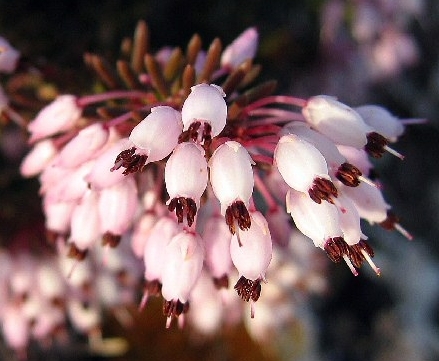 This species is sometimes, though rarely, made into slaves, as has been described by Mr Smith. Although so small a species, it is very courageous, and I have seen it ferociously attack other ants. In one instance I found to my surprise an independent community of F. flava under a stone beneath a nest of the slave-making F. sanguinea; and when I had accidentally disturbed both nests, the little ants attacked their big neighbours with surprising courage. Now I was curious to ascertain whether F. sanguinea could distinguish the pupae of F. fusca, which they habitually make into slaves, from those of the little and furious F. flava, which they rarely capture, and it was evident that they did at once distinguish them: for we have seen that they eagerly and instantly seized the pupae of F. fusca, whereas they were much terrified when they came across the pupae, or even the earth from the nest of F. flava, and quickly ran away; but in about a quarter of an hour, shortly after all the little yellow ants had crawled away, they took heart and carried off the pupae. One evening I visited another community of F. sanguinea, and found a number of these ants entering their nest, carrying the dead bodies of F. fusca (showing that it was not a migration) and numerous pupae. I traced the returning file burthened with booty, for about forty yards, to a very thick clump of heath. whence I saw the last individual of F. sanguinea emerge, carrying a pupa; but I was not able to find the desolated nest in the thick heath. The nest, however, must have been close at hand, for two or three individuals of F. fusca were rushing about in the greatest agitation, and one was perched motionless with its own pupa in its mouth on the top of a spray of heath over its ravaged home. Such are the facts, though they did not need confirmation by me, in regard to the wonderful instinct of making slaves. Let it be observed what a contrast the instinctive habits of F. sanguinea present with those of the F. rufescens. The latter does not build its own nest, does not determine its own migrations, does not collect food for itself or its young, and cannot even feed itself: it is absolutely dependent on its numerous slaves. Formica sanguinea, on the other hand, possesses much fewer slaves, and in the early part of the summer extremely few. The masters determine when and where a new nest shall be formed, and when they migrate, the masters carry the slaves. Both in Switzerland and England the slaves seem to have the exclusive care of the larvae, and the masters alone go on slave-making expeditions. 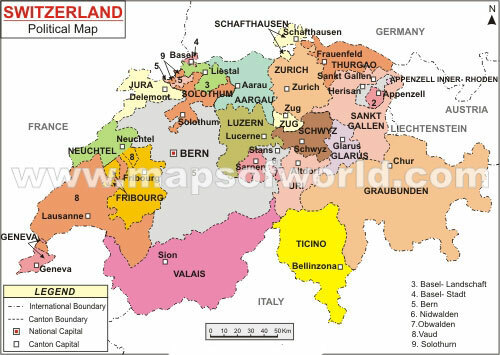 In Switzerland the slaves and masters work together, making and bringing materials for the nest: both, but chiefly the slaves, tend, and milk as it may be called, their aphides; and thus both collect food for the community. In England the masters alone usually leave the nest to collect building materials and food for themselves, their slaves and larvae. So that the masters in this country receive much less service from their slaves than they do in Switzerland. By what steps the instinct of F. sanguinea originated I will not pretend to conjecture. 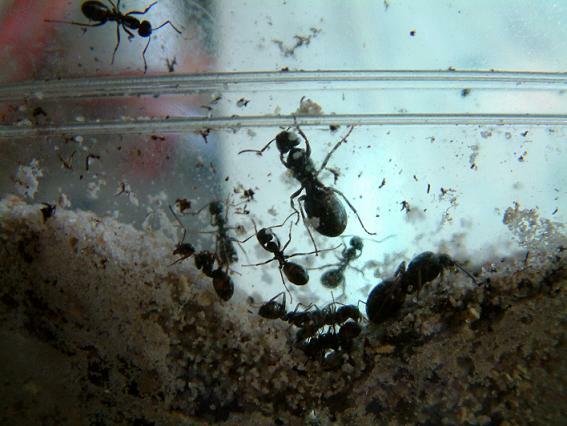 But as ants, which are not slave-makers, will, as I have seen, carry off pupae of other species, if scattered near their nests, it is possible that pupae originally stored as food might become developed; and the ants thus unintentionally reared would then follow their proper instincts, and do what work they could. 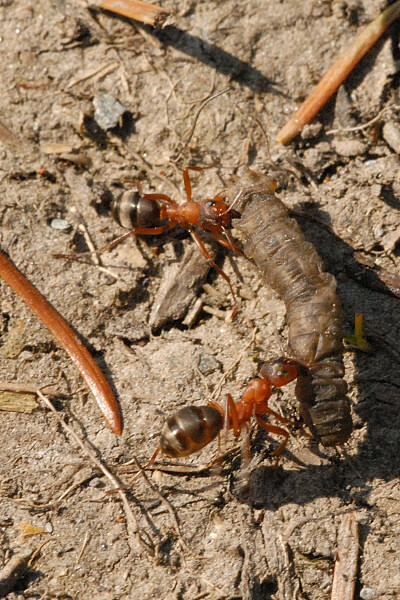 If their presence proved useful to the species which had seized them if it were more advantageous to this species to capture workers than to procreate them the habit of collecting pupae originally for food might by natural selection be strengthened and rendered permanent for the very different purpose of raising slaves. When the instinct was once acquired, if carried out to a much less extent even than in our British F. sanguinea, which, as we have seen, is less aided by its slaves than the same species in Switzerland, I can see no difficulty in natural selection increasing and modifying the instinct always supposing each modification to be of use to the species until an ant was formed as abjectly dependent on its slaves as is the Formica rufescens.